Boji Rides provides medical transportation for ambulatory patients to all major hospitals and doctors' offices. Rates: $1.25 per mile to and from the medical facility $20 an hour for wait time Call 712.339.5886 to book medical transport. 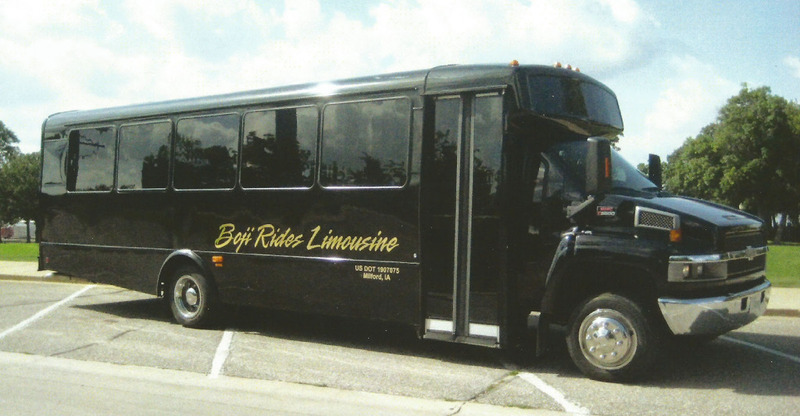 Boji Rides is the perfect option for your special event transportation service. We provide buses for the following special events: Bachelor/Bachelorette parties Weddings Birthday Parites Family reunions Casino Tours Sporting Events Concerts & more Book by calling 712.330.7070. Inquire about our special event options when you call. Boji Rides serves an array of transportation needs in the Iowa Great Lakes region. We provide taxi service, bus rentals, special event rentals, medical transport and airport shuttles. Call today to learn more.